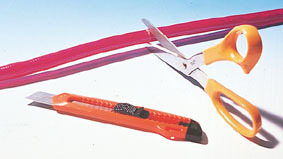 Duralight can ONLY be cut on the indicated section marks with shears or sharp scissors. Do NOT plug into power source once Duralight is being installed. Do NOT plug Duralight in power source when it is still wrapped in a roll or around a spool to avoid damage caused by intensive build-up. 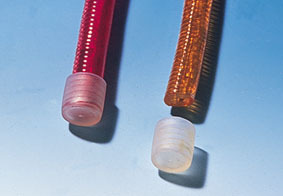 Do NOT cover Duralight with any object or material while it is in use. Make sure to warm up Duralight before shaping into designs, and then unplug it for shaping. DURALIGHT and power source should have the same voltage. 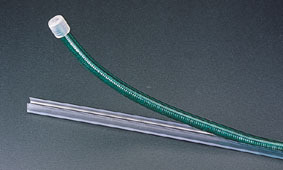 When connecting separated Duralight segments, make sure the cut ends are securely and tightly inserted into the connectors. The End Cap must be pushed all the way over the exposed ends of Duralight (and can be sealed in place with metal clamps or silicon glue). If DURALIGHT is wrongly cut, the miss-cut section should be discarded. 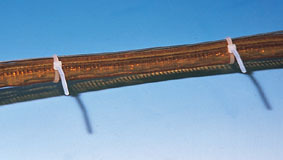 When assembling connectors to cut ends, the protruding wires should be bent outwards away from the short-circuit (see pictures). To avoid fire and shock hazards, do NOT use when outer insulation is damaged. Slide power connector onto cut end, making sure pins on power connector line up with wire points of Duralight. 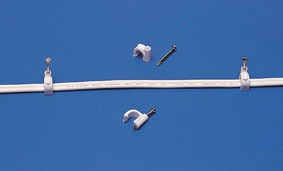 To lengthen or join two pieces together, use a splice connector. Push splice connector into Duralight making sure the pins line up with the wire pins. Splice connector as far as it will go. Fig. 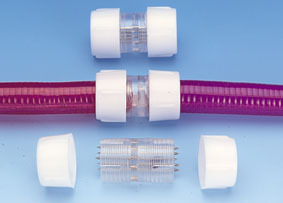 3 The connector connects Duralight of different colour in accordance with CE Regulation. Fig. 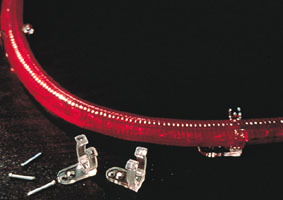 4 Fixing clip can prevent the bending of the electric wire and to fix the electric wire on the desired position. *Duralight must be cut only on the indicated mark. *Bending leftward, extra wire is cut off with nippers. *Bending rightward, extra wire is cut off with nippers. *How to splice connector into ends of Duralight Push splice connector into ends of DuralightTm as far it will go. *For design and forming: Draw design on surface where DURALIGHT will be installed Screw mounting clip onto this line with reasonable spacing, and press Duralight into clips. *When straight line installation is needed to channel is required drill holes in channel and nail or screw channel onto surface. *For free from designs, use heavy wire to shape. 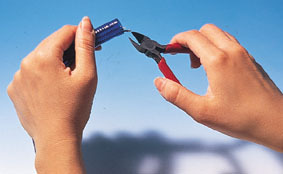 *FIg.4 fixing clip to fixate the electric wire. *If installing on glass, use double sided tape, when channel has been secured onto surface, press DURALIGHT into channel to complete installation.